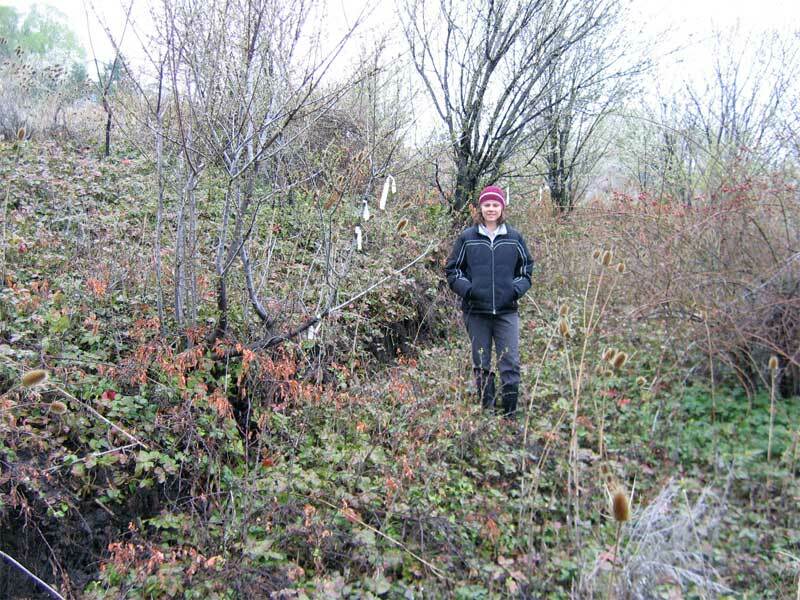 On the morning of April 15, 2006, homeowners recognized that the Sunset Drive landslide in Layton had reactivated. The landslide moved previously in 1998 and damaged a house that was later demolished. The landslide is in a northwest-facing slope above the broad valley of the North Fork of Kays Creek. 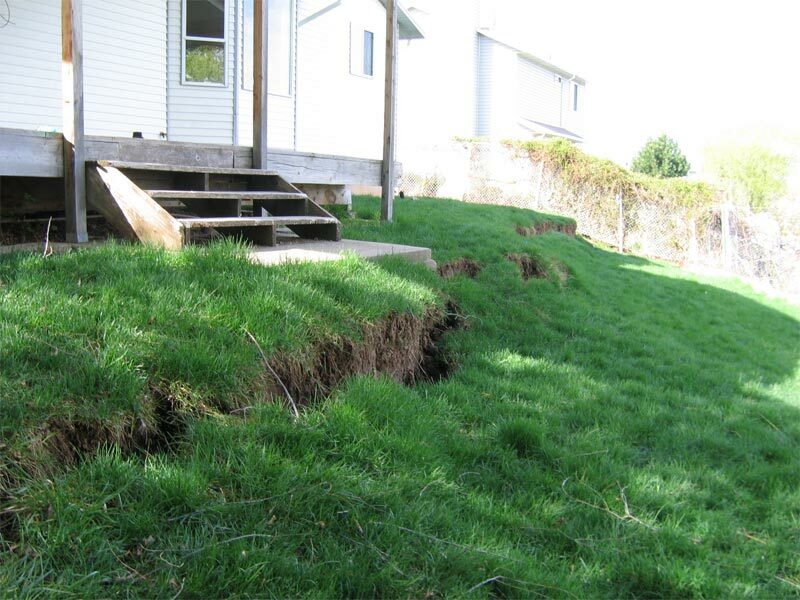 Landslide movement directly impacts two houses and the backyard landscaping at four other lots along the slope crest. 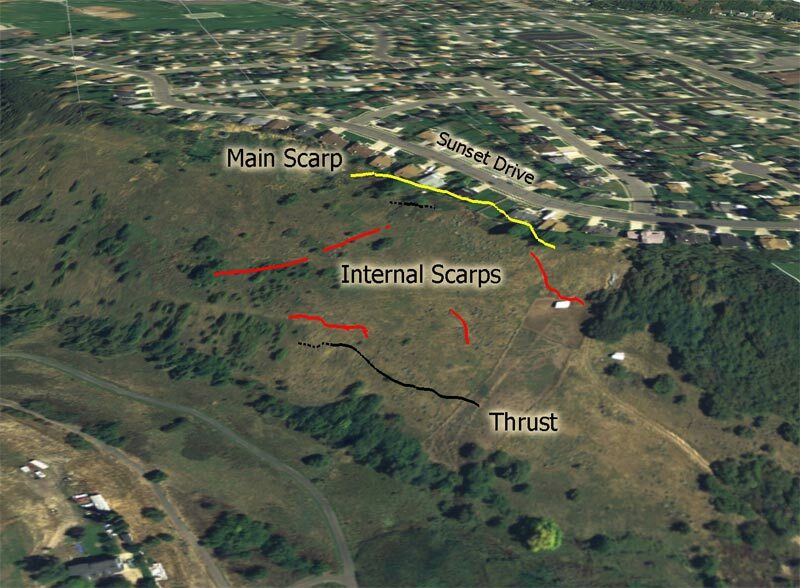 The 2006 landslide main scarp is in the same location as the 1998 scarp but the 2006 movement is greater and has created a higher main scarp at the slope crest and more ground cracks and other landslide features in the lower slope down to the North Fork of Kays Creek. The slope that failed is made up of clay and sand deposited as part of the Weber River delta that had built into Lake Bonneville 16,000-18,000 years ago. The North Fork of Kays Creek valley formed as Lake Bonneville receded and the creek cut down through the old Weber River delta. The clay and sand in the Weber River delta are prone to landsliding, and similar slopes in Layton, Uinta Highlands, South Weber, and Washington Terrace have failed repeatedly in the past. Prehistoric landslide deposits are present at the Sunset Drive landslide and elsewhere in the North Fork of Kays Creek valley. The upper part of the landslide has been modified by the placement of fill for farming and subdivision development. Some of the houses along the slope crest rest partially on fill and partially on native material. The area of landsliding is about 650 to 700 feet wide and 550 feet long. The landslide has a vertical drop of about 160 feet and an average slope of 30%. 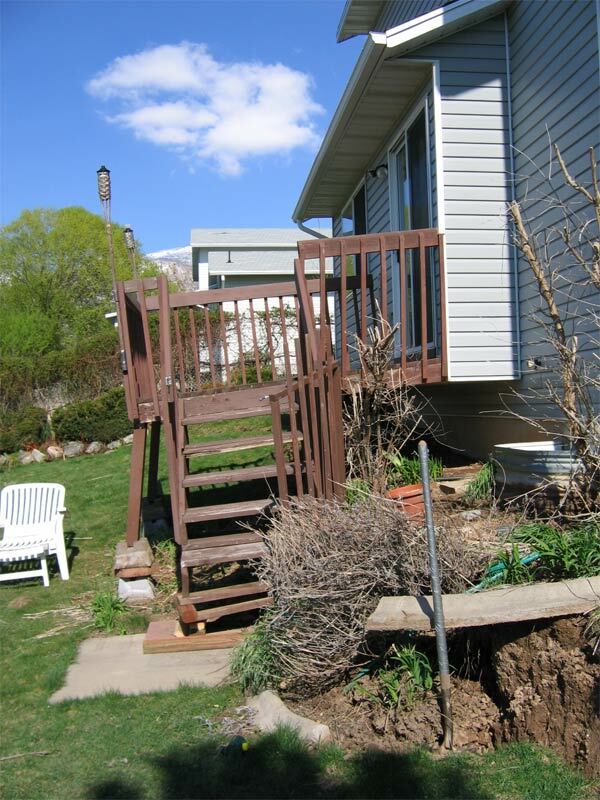 Following the 1998 landslide, Layton City conducted a landslide study to determine ground-water levels, depth of sliding, and soil strength. To improve landslide stability, engineers proposed a drain system at the slope crest, but the majority of homeowners decided not to finance the installation. As part of the landslide study, Layton City installed instruments to measure slope movement and ground-water levels in the landslide. The Utah Geological Survey has monitored ground-water levels in the landslide since 1998. A 4- to 8- foot increase in ground-water levels between March 16 and April 17, 2006 apparently triggered landslide movement and is in part a result of the significant snow and rain that fell on April 6. This rise in ground-water levels represents a measurable threshold that can be used to predict future landslide movement. New springs have appeared on the lower landslide. Instruments indicate the sliding surface of the 2006 landslide movement is 30 to 38 feet below the ground surface near mid-slope and likely deeper near the slope crest. 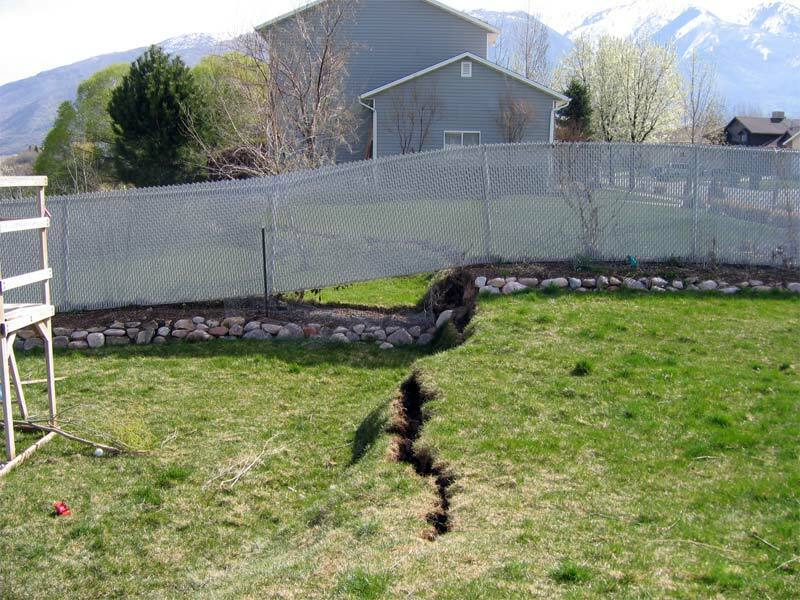 The Utah Geological Survey is assisting Layton City in monitoring landslide movement and measuring ground-water levels, and Layton City building inspectors are monitoring potential damage to the two houses directly threatened by the landslide. Much of northern Utah is experiencing a second consecutive wet year, following last year’s very active spring when the UGS recorded over 100 landslides. Click here (pdf) for a diagram illustrating landslide features and terminology. The UGS report Reconnaissance of a Landslide on East Sunset Drive, Layton, Utah(pdf) discussing the 1998 landslide is also available online (see pages 28-35).